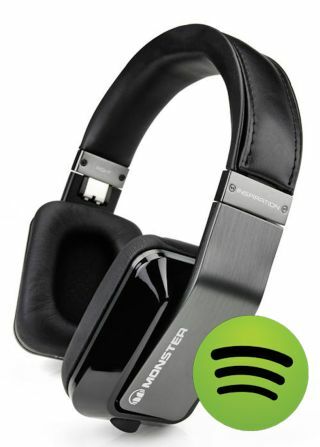 Monster to team up with Spotify | What Hi-Fi? It isn't a done deal yet, but Monster has confirmed it is talking to Spotify about collaboration between the two companies. Speaking to The Times, Monster CEO Noel Lee revealed that he is talking to Spotify about ways the two firms could co-promote their respective brands. Whether this would involve Monster headphones with Spotify branding, Spotify subscriptions bundled with Monster headphones or even Spotify Connect built into the headphones, remains unclear. A formal announcement is expected at the IFA consumer electronics show in Berlin this September, but the company won't elaborate further at this stage. Lee was in London last week to launch Monster's StreamCast wireless multiroom speaker system in the UK. It will go on sale in September and will include Spotify Connect. The company is best known for co-developing the Beats by Dr Dre headphone range. The Monster-Beats alliance ended in 2012, and since then Lee has sued Beats Electronics founders Dr Dre and record producer Jimmy Iovine, alleging they double crossed him before selling the headphone company to Apple for $3bn. Had Lee held on to his original five per cent stake in Beats it is claimed it would have been worth around $150m under the terms of the Apple buyout. He sold his last remaining stake for $5.5m in 2013 following the takeover of Beats by HTC, prior to its sale to Apple. Since then Apple has booted Monster out of its 'Made for iPhone' programme. MORE: Apple's Beats deal is "steal of the century"